Mandela Washington Fellows Grand Challenges Presentations & Reception at the Humphrey School. The Mandela Washington Fellows are a group young African leaders from 17 different countries who are public management professionals working in public and nonprofit sectors. 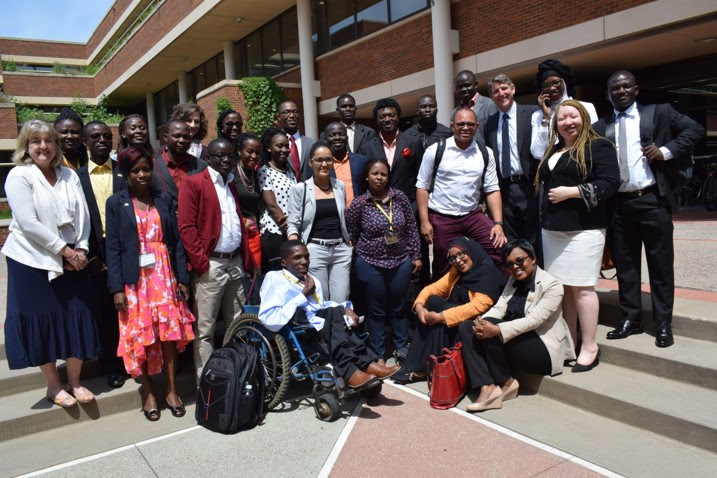 The fellows came to the Center for Integrative Leadership at the Humphrey School for six weeks of immersive academic and experiential learning exploring concepts in leadership and public management. The grand challenges presentations bring together their professional work experiences from their respective home countries and with what they have learned in the past six weeks. Presentation topics include education, children with disabilities, preventing sexual and gender based violence, health, land redistribution, corruption, human rights, and poverty.